The Mullica Township Police Dept is responsible for patrolling nearly sixty square miles. This task is carried out by some of the most professional and dedicated men in law enforcement. Our mission is to work in a true partnership with our fellow citizens of Mullica Township to enhance the quality of life in our Township and, by raising the level of public safety through law enforcement, to reduce the fear and incidence of crime. In accomplishing these goals service will be our commitment, honor and integrity our mandate. 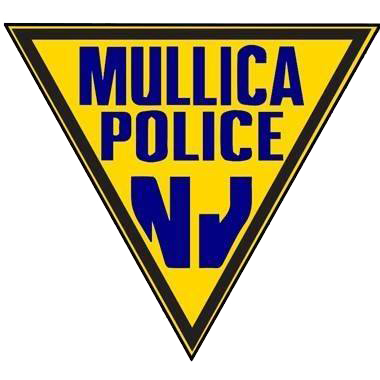 Mullica Twp Police Officers make every effort to perform their duties in a competent, courteous and professional manner. Frequently, many officers exceed the expectations of the public by providing exceptional service that surpasses the norm. If you observe an officer performing their duties in a manner that you think is exceptional and reflects favorably upon the officer and the Department, we encourage you to take a moment and tell us about it. Officers take great pride in being recognized by members of the public when they have performed their duties in an exceptional manner. Perhaps more importantly, officers who receive such accolades and encouragement from the citizenry recognize how their efforts are appreciated. Such an encouraging atmosphere improves officer morale and encourages all officers to work harder to improve their individual performance and the quality of the services they provide to the public. If you would like to tell us about an exceptional service that you were the recipient of or observed being done for someone else, you may write to the Police Chief at the address provided or, if you prefer, you may use the handy online form we’ve provided for that purpose. No matter which you choose, please accept our thanks for sharing your experience with us. We appreciate being appreciated!